touched it. 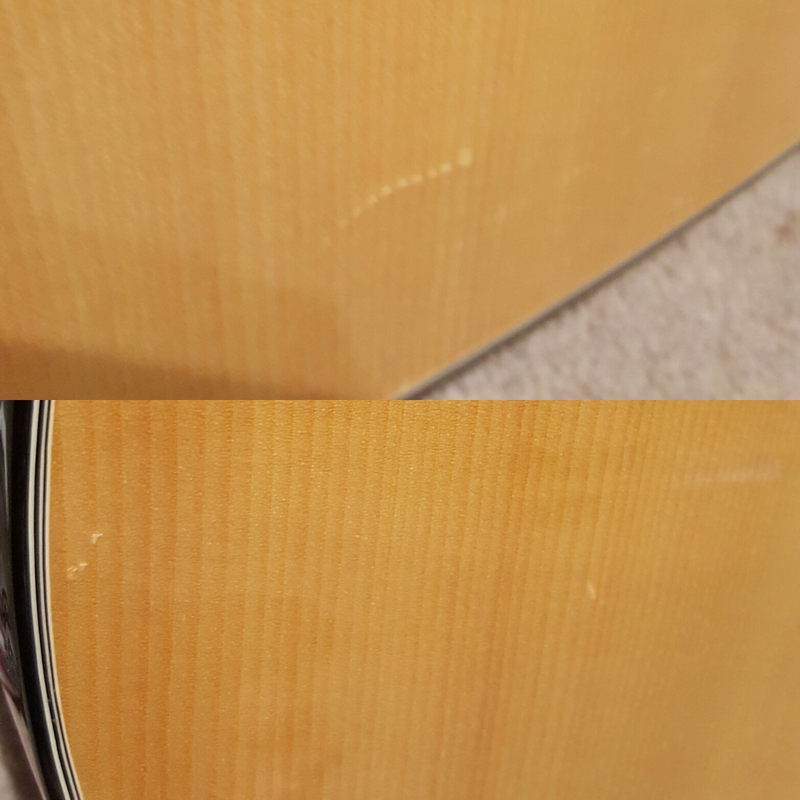 I recently got it back after loaning it to a friend for several months. The body was a bit sticky. 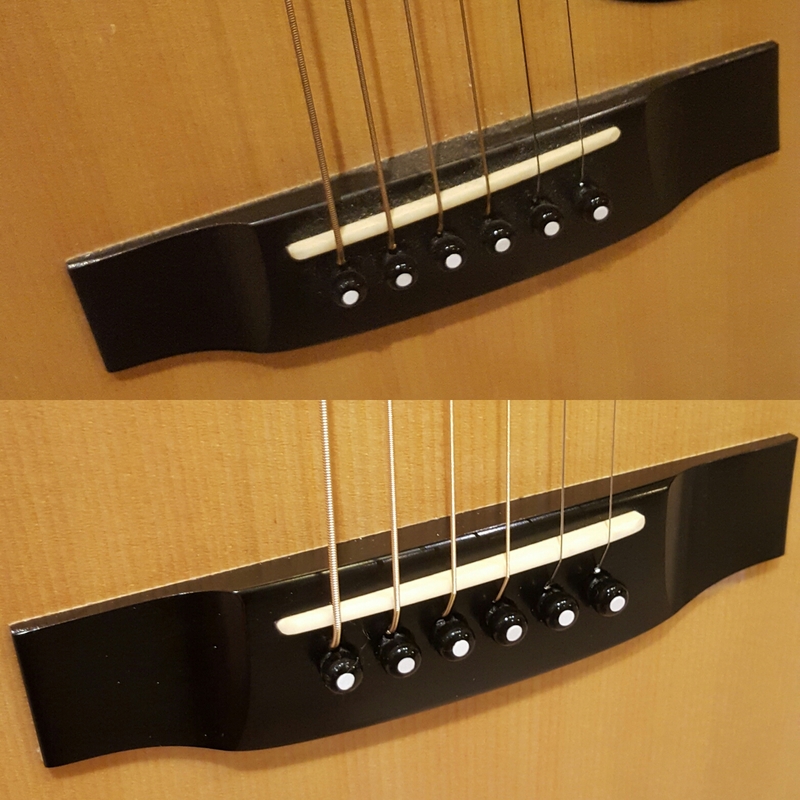 On closer inspection, you could see that the fingerboard needed a little love and the strings needed to be changed. 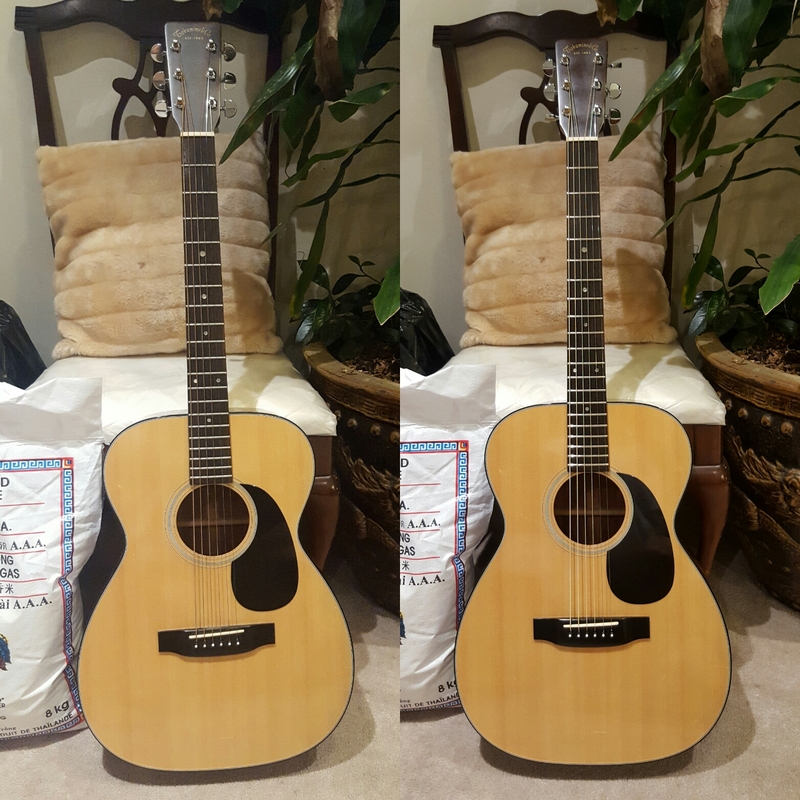 The snappy immediately above was taken after I had restrung the guitar. 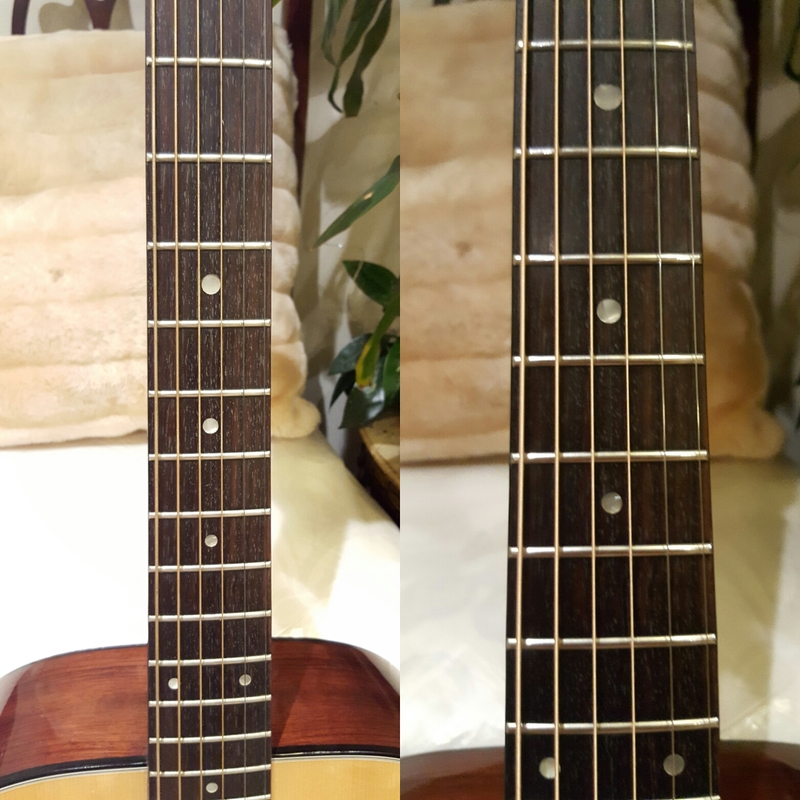 There is some of dust on the bridge and you can see the strings corroding up close after the guitar had a good 8 months of use in the pic above (before on top, after on bottom). …and as mentioned, the fingerboard needed some love. 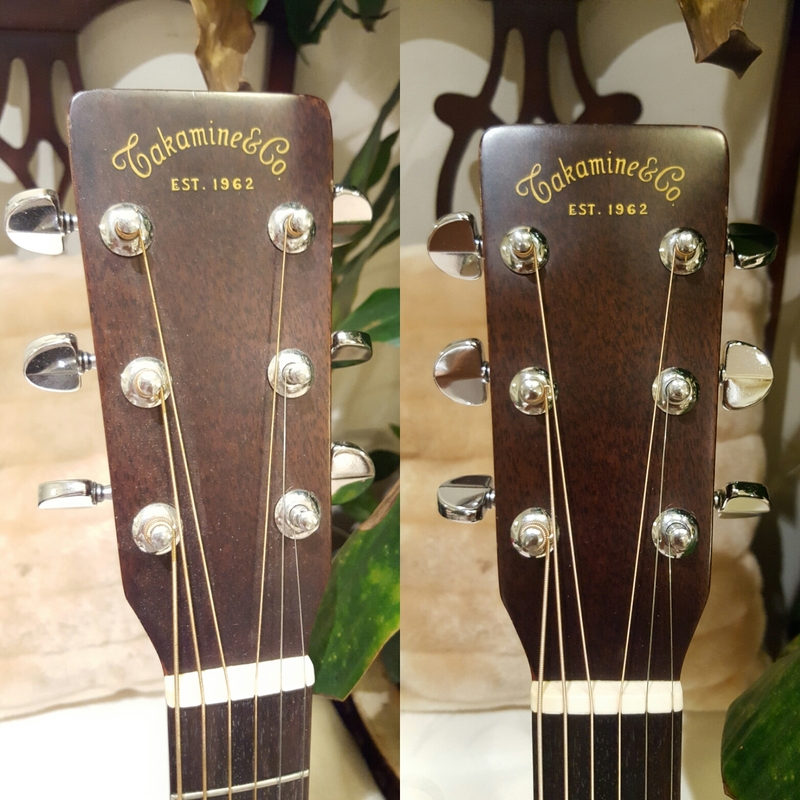 Strings were tarnished from lots of play time (before on left, after on right). 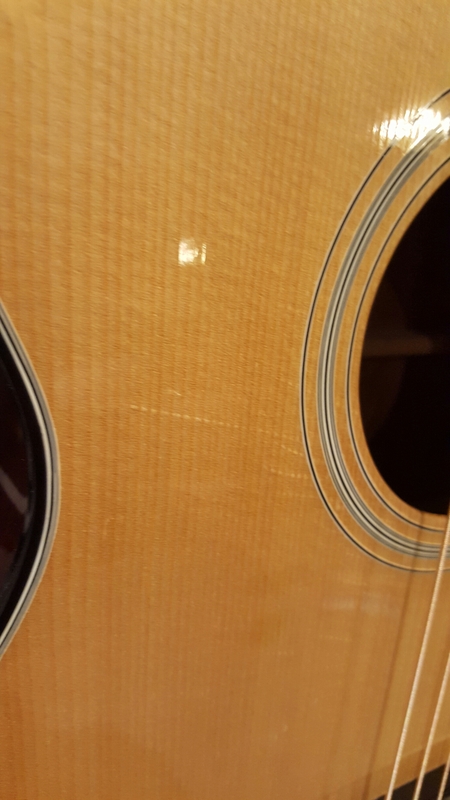 Dust also started to collect a bit on the Tak, as you can see on the headstock. (Before on left, after on right). 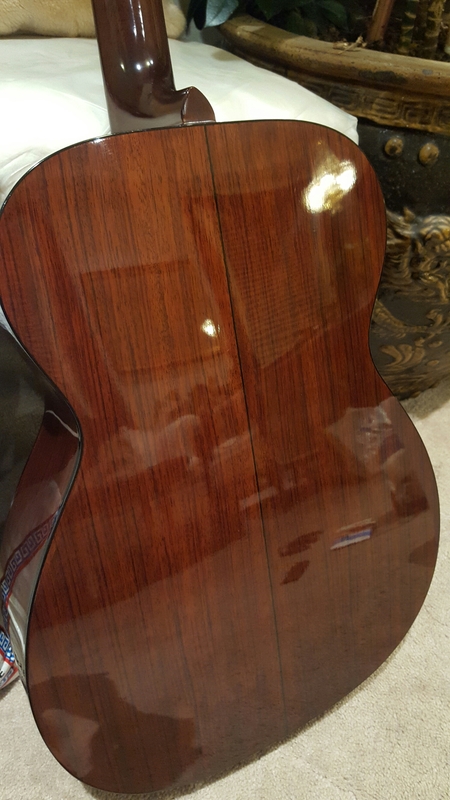 After a good cleaning and polish, the stickiness on the body was removed and the shine was restored to its mirror like finish, seen below. This is one of two guitars that I own that are over 30 years old, the other being a Fender. Both purchased new in 1985, my brother and I are the original owners. When we got into high school and stopped playing guitar for a while, my brother passed the Tak over to me. After a while of playing here and there, I grew a liking to it. Sound-wise, my Fender and Tak are two different beasts. 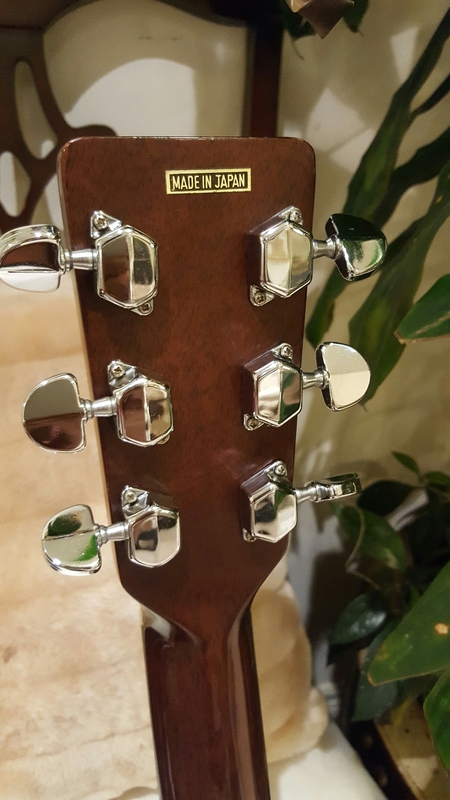 The Tak is likely the more coveted of the two, since it is supposedly a now rare, Japanese-made, Martin copycat, and sounding like one too. My Fender, meanwhile, is just a typical Fender but bright sounding, like a Taylor. …or the dings from accidental hits. The sound from this guitar and the Fender? Other than what I said above, I can’t describe it, other than weirdly addictive. 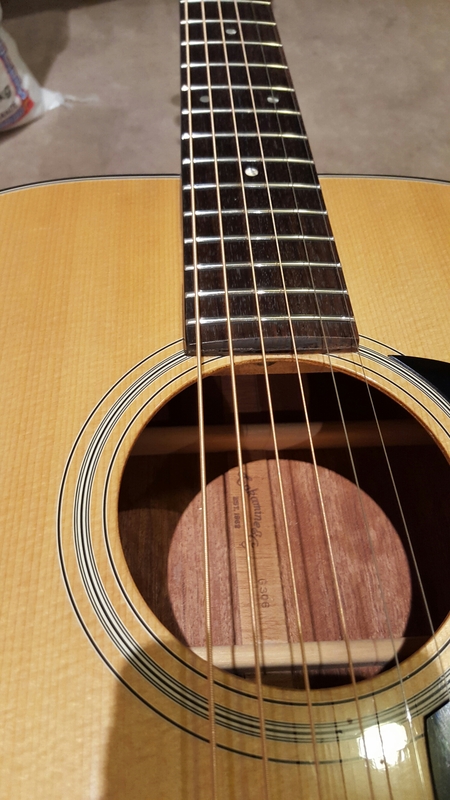 I like the sound from both my guitars better than most of the new entry and intermediate guitars available now and I don’t know why. Hopefully in the coming days, I can get a few snappies of my Fender posted. That guitar is also due up for a string change very soon! In the meantime, feel free to comment, like or subscribe. Follow me and JP on instagram and tap us on Facebook!